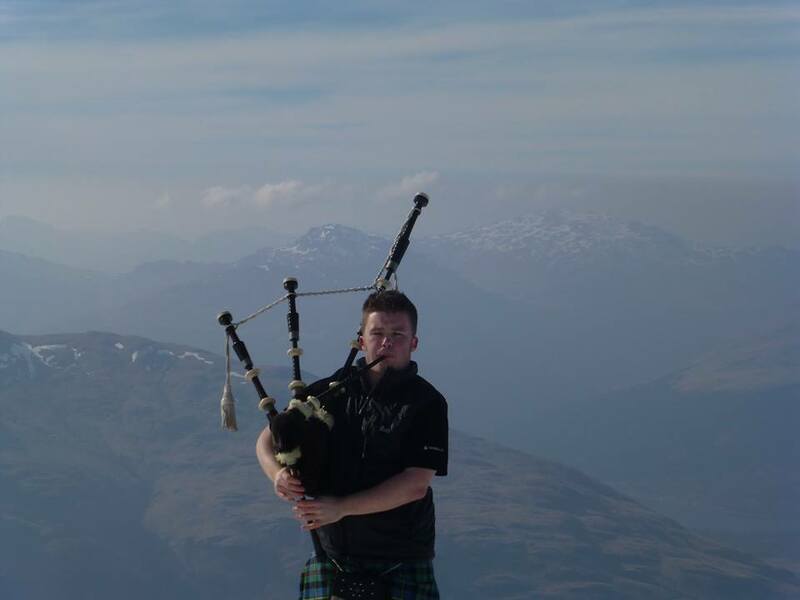 So, just over a year ago, myself and my friend did my first Munro with my pipes, Ben Lomond. It was a horrible day, and we couldn’t see a thing at the top. 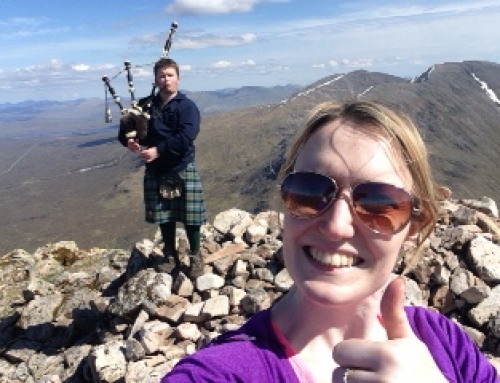 Now, 26 Munros into my personal challenge, I have re-visited the Ben, and got my picture at the top! 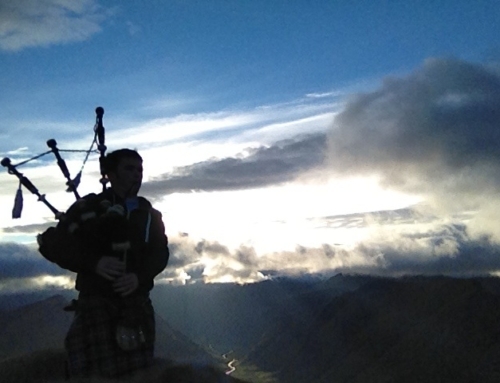 It seemed a shame to go through all my Munros, and not have a good experience of the one that started it all off. The day started with a 7.30am gym session. I had no plans at all for the day. As I left the gym, about 9am, I just decided, lets do this!! 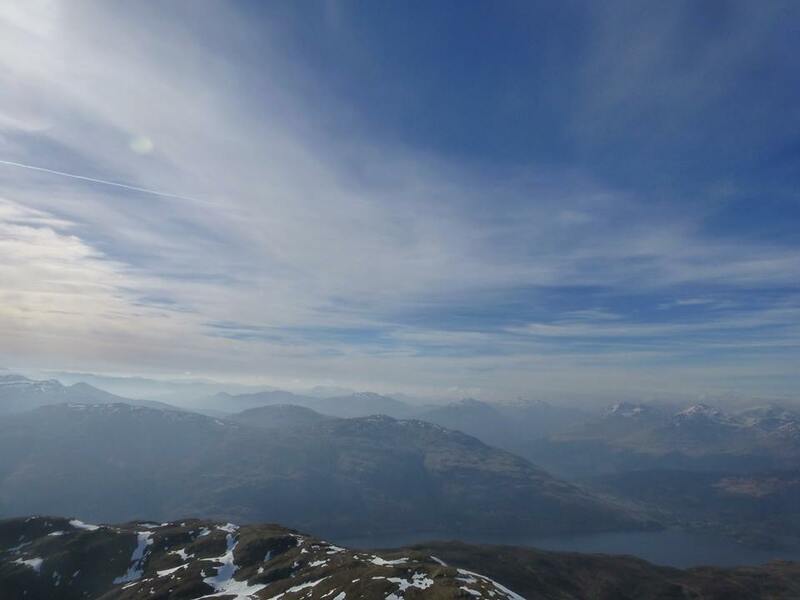 Packed my stuff, and was at the foot of Ben Lomond by 11. About 15 minutes in, I was doubting my decision. 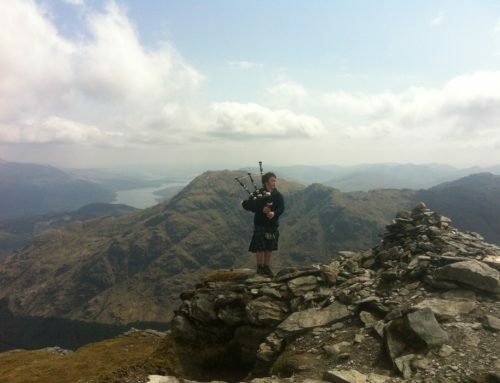 An hour gym session, mainly working my legs, isn’t the best prep for climbing a Munro, never mind with a set of bagpipes on your back, and wearing a kilt! There were several people ahead of me, but nowhere near the number you might expect for such a stunning day. A couple were behind me, and that kept me going, I don’t like being overtaken on the hill haha. 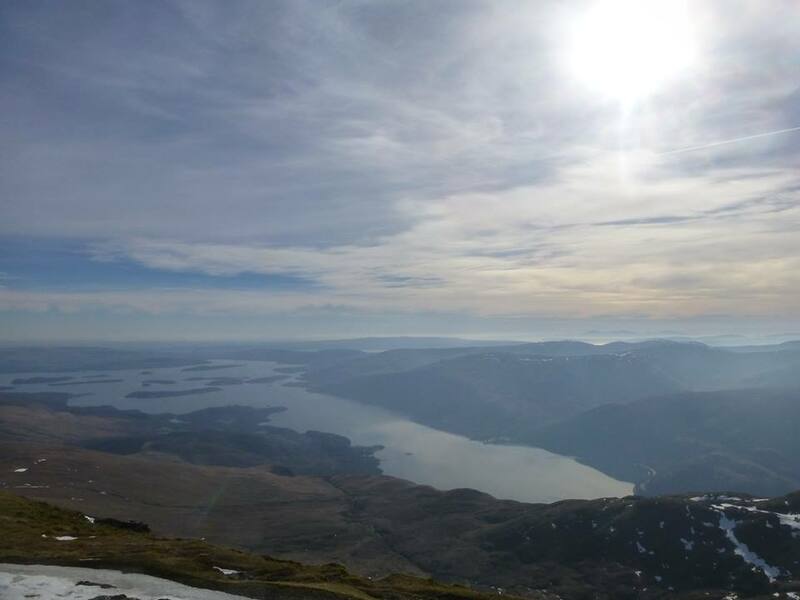 As anyone who has been to the summit on a nice day will know, the views from the top were stunning. A good dusting of snow, a little cloud on the other tops, and a slight haze, made for spectacular viewing. As I set up my pipes, a gentleman started talking to me. He had seen my recent article in the paper. It turns out, he lives at the top of my road!! Of all the places to meet! How many Glaswegians have never seen this? As I played, two other gentlemen joined us. 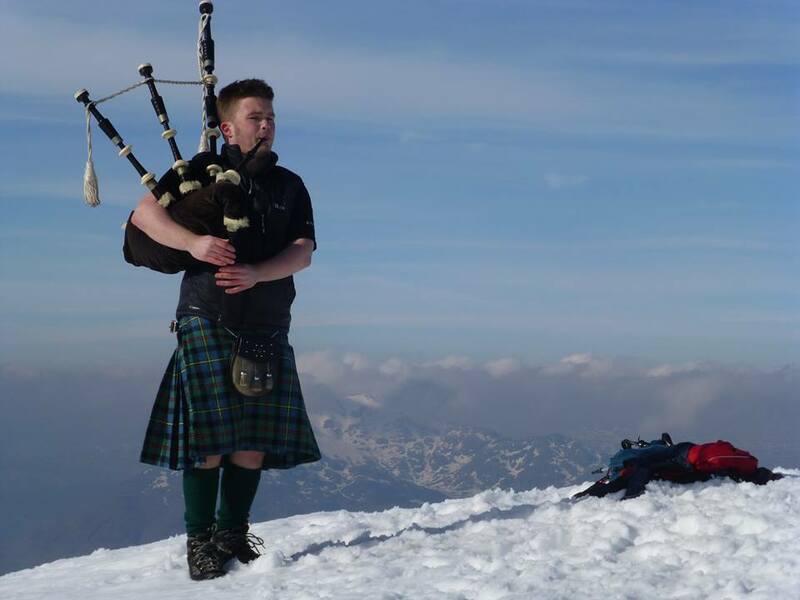 As is normally the case, they were in shock that they were getting piped to the top. 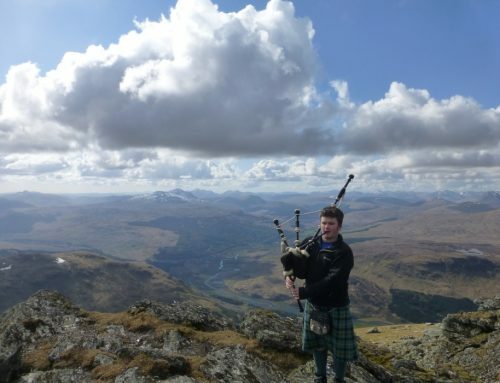 They later said, they seen my walking in my kilt and thought I was some daft American haha! As I explained my charity fundraising, and personal challenge, they dropped into the conversation their challenge. 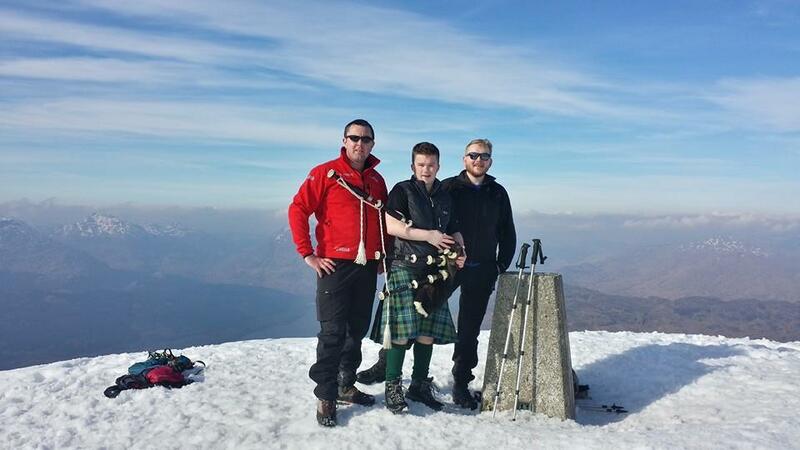 They are to climb Ben Lomond TEN, yes TEN times, back to back, to scale the equivalent height of Everest in September. 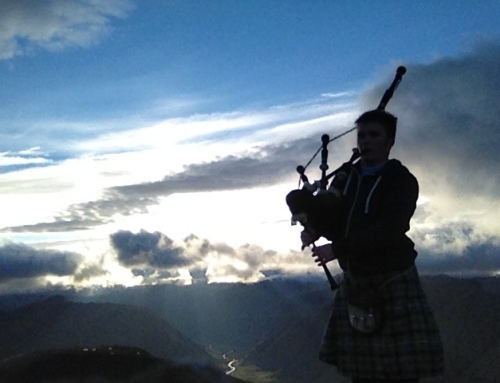 I offered to play for them as they finished their final ascent, so looks like ill be back up in September haha. Keep an eye out for them. The Ben 10 boys! Hats off to them! It was a fantastic day. Only problem was I was, I thought, against the clock due to a prior arrangement, which was subsequently cancelled, had I known, I would have ventured further afield, but I have no regrets, how can you when you see views in such weather. That is 2014 off and running for me at last, and I am looking forward to many more outings this year.